Let’s start with the good news about new Causeway Bay cocktail and dessert bar Jerry Maguire – the desserts are good. Really good. The sweets’ elevation to a co-starring role in this script is no accident – even the cheesecake ($268) here is taken to the next level in a deconstructed format, with smears of creamy cheese interspersed with mounds of biscuit base, making a case for deconstructed dishes despite the current fashionable backlash. Jerry Maguire steals its name from the 1997 Tom Cruise film. And, just like Cuba Gooding Jr upstaging Cruise at the subsequent Academy Awards, the supporting player steals the show here. Just like the film’s romantic denouement, when Cruise’s eponymous Jerry confesses to Renée Zellweger that she ‘completes’ him, the cocktails sadly don’t ‘complete’ this watering hole. 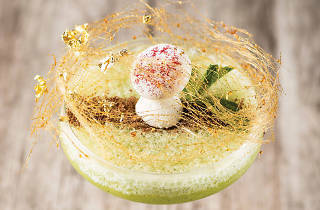 The Alice The Wonderland ($118), with its mix of Havana Club three years, Midori and mint leaf – topped with meringue, spun sugar and gold leaf – is refreshing, with a front end of mint, but one-dimensional thereafter. And the 23 Lan Fong Road ($128) combines peach and green apple schnapps with white wine and cucumber but, sadly, it’s overly sweet. 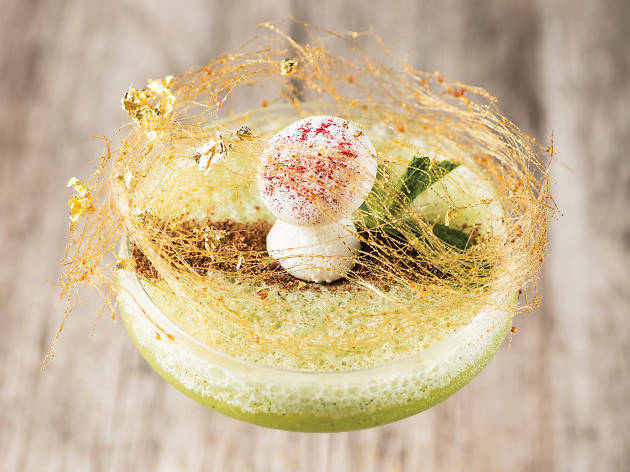 While we like the concept of a dessert in cocktail form, the drinks need to be more nuanced. If there were prizes for originality, Jerry Maguire would make a clean sweep next awards season. And while we’ll be going back for the fab desserts, the cocktails need more work before we show them the money once again.